Condition Red's debut album was written late 1999 and recorded between January and April 2000. The lyrics are all about living in the modern world and trying to stay alive but there is also lots of instrumental moments on this release. 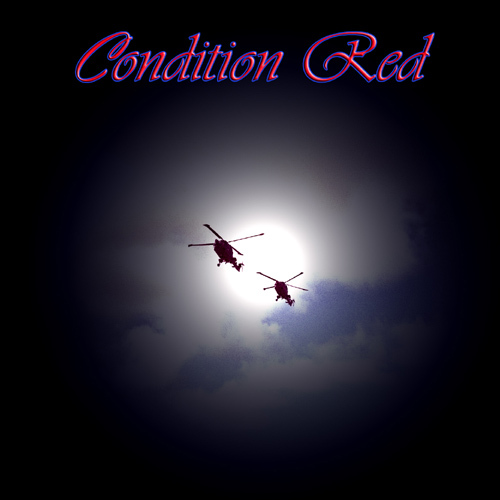 Condition Red are here to explore and develop new ground rather than follow the steps of others, and it’s complicated rhythms and arrangements are not like any other releases that we know of, at least. Ella Grussner’s violin and vocals are an essential part of this project, and this is a young woman we bet will have a bright future in music. 2 of the best guitarists around plus 2 amazing keyboardists, Derek Sherinian who is well known for his work with Dream Theater, Planet X, Playtupus and Alice Cooper plus amazing newcomer Alexander King are giving the fans of shredding what they want, but still the songs are always in focus. Ths is music for people with open minds. This album was remixed in 2013 and reissued digitally with much improved mixes in January 2014. The artwork of the original release was also replaced. • Calls out My Name. • Bach on the Streets Again.